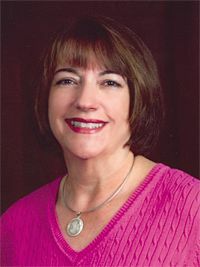 Beverly Slough, district one representative on the St. Johns County School Board, was first elected in 2002. Her passion is focused on a quality education for every child in our county. She has extended that passion to all children in Florida by her service to the Florida School Boards Association. As past president of the association, Bev is an active advocate for excellence in education throughout our state. She holds a bachelor of science degree in biology from Stephen F. Austin State University. In addition to her duties with the School Board, Bev is involved in several community organizations. She serves on the boards of Florida School Boards Association, United Way Florida, Compass Florida, and is vice-chairman of Florida School Boards Insurance Trust. Locally, she is an active member of the boards of United Way St. Johns and Investing in Kids. Bev lives in St. Johns with her husband, Wesley, who is involved in international ministry. They have two daughters, Julie Simmons and Elizabeth Southard, and two grandchildren.